So after a little research we opted for a quad bike tour with E Move Ibiza based in San Antonio. We arrived at the allotted time and got the paperwork sorted (driving licence required), helmets fitted and were then given comprehensive instructions on how to ride the quad correctly. Don’t worry it isn’t too taxing, the quads are built with ease and simplicity in mind and are easy to get to grips with. We had two quads, Sam on one by himself and myself and Rosey on the other. 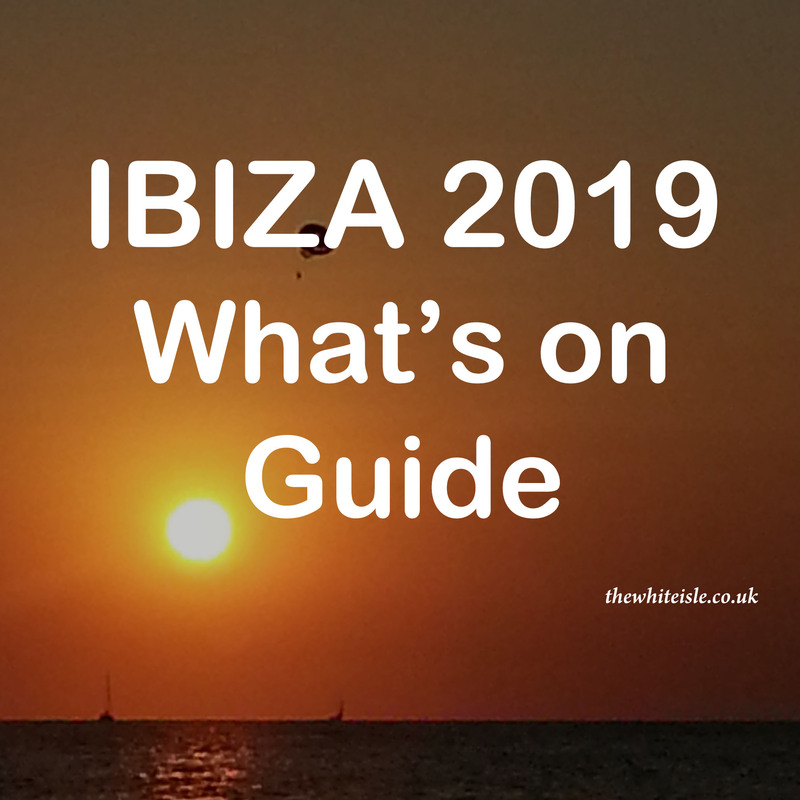 We were joined by a German couple and then with the guide leading set off from San Antonio out into the countryside of Ibiza on our convoy of four quads. The route we took was a mixture of on road and off road, from wide open spaces to narrow tracks. Nothing too technical or difficult at all, although there were a couple of steep sections up and down which made the heart beat a little faster. 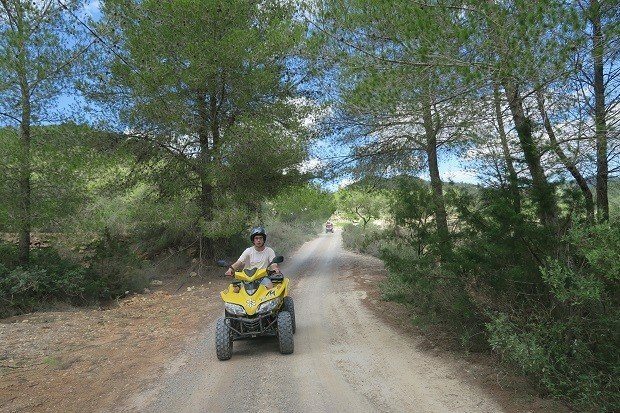 Travelling through the pine forests of Ibiza on quad bikes. Unfortunately the guide’s quad suffered a minor failure early into the tour, but a quick phone call and a few minutes later a replacement moped arrived and the tour continued. I have to say the tour guide showed fantastic riding skill as some of the surfaces were extremely rocky and bumpy and not once did he waiver or falter. The route allowed us to take in the beautiful countryside, hills and valleys around San Antonio and heading south west ish it was great fun to ride through the pine forests and see the finicas and farmsteads with their terraced fields which look spectacular lining the valleys. Unfortunately as I was enjoying it so much I completely forgot to switch on my GPS tracker so I am not 100% sure of the exact route, but we travelled through Sant Josep and headed back towards the coast stopping at the viewing point for the stunning Es Vedra. We had a little break from the quads to take some time to enjoy the magnificent view of this iconic rock formation, one of my favourite places in Ibiza especially at sunset. 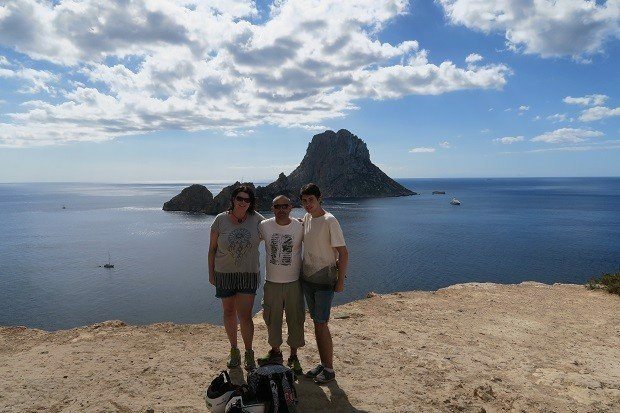 We took in the beautiful and magical Es Vedra while quad biking. Jumping back onto the quads, we enjoyed some more off road and on road sections that took us northwards hugging the coast as much as possible, passing Cala Tarida and then on through the open areas to Cala Conta where we stopped for refreshments. The wind was up but on an average day you would have had time to take a quick refreshing dip in the crystal clear waters here so we managed to have a few extra minutes of relaxation instead. Turning for home we passed through more pine forests and passed Cala Bassa heading back into San Antonio Bay and along the coast road back to E Move offices where the tour sadly came to an end. The quad bike tour took just over 3 hrs and was a great mix of slow and steady off-roading with a little faster pace on tarmac roads. The tour guide kept us together and explained points of interest along the route and was happy to answer any question we had and of course to take those extra pictures of us all. 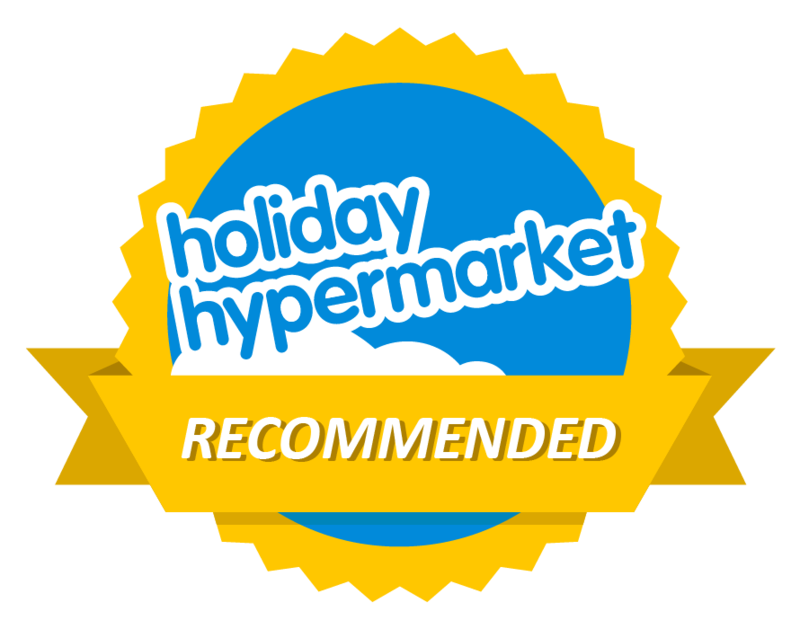 It is a great way to explore a little more of the island and the quads were easy to drive and it was a thoroughly enjoyable afternoon out for us all and is something we will certainly be doing again when we return to the Island.